The 3rd Annual Keiser University Blue Line 5K is scheduled for 7:00AM on Saturday, June 2, 2018 at the KU-West Palm Beach campus located at 2085 Vista Parkway. This race is one of the largest campus events for KU-WPB and something they are very proud to host. 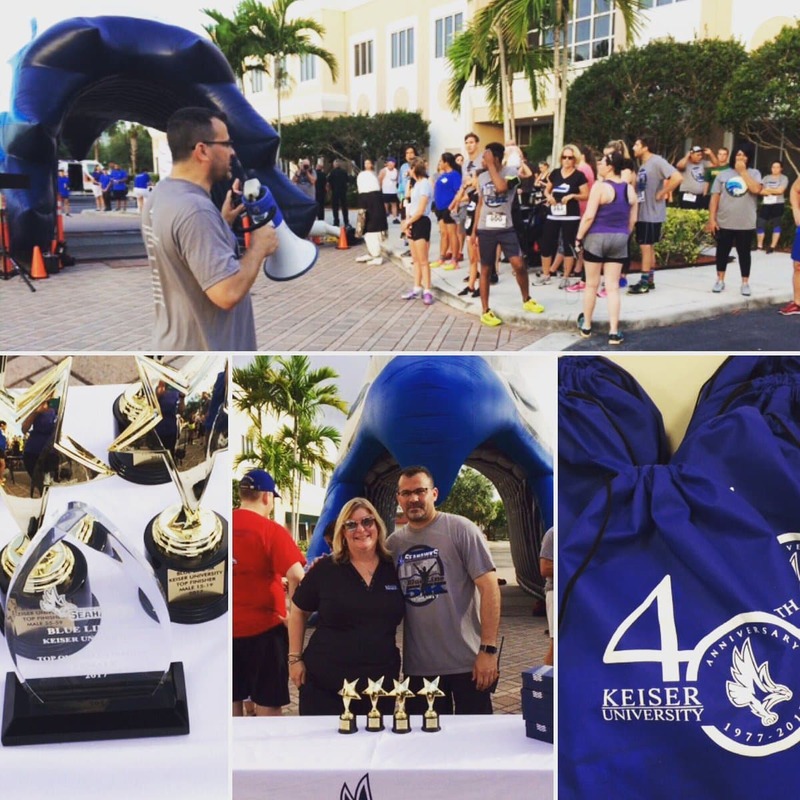 The Keiser University Blue Line 5K is a celebration of the men and women of law enforcement and public safety. As a signature event for the Keiser University West Palm Beach campus, the students and faculty of the Criminal Justice, Crime Scene Technology, Forensic Investigation, and Legal Studies programs are pleased to support the Law Enforcement community. This event supports scholarships for Criminal Justice students and Police Academy recruits. This year’s event already has some unique differences from prior races. KU-WPB posted a challenge to the Palm Beach County Sheriff’s Office to put a team together. As of last week, they have registered their 50TH runner, with more to come. In the spirit of competition, we hope that Keiser University can put together an equally impressive team. Registration is open and the race fee is $35.00. Each participant will receive a race day t-shirt, and goody bag of prizes. Now is the time to register. You can walk or run, and the event will occur, rain or shine.